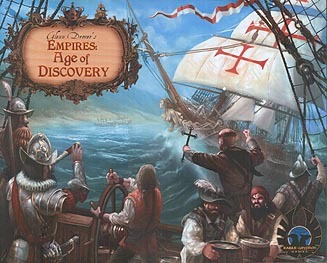 Revisit the Age of Discovery! Players take on the role of a colonial power seeking fame, glory, and riches in the New World. As you proceed through three Ages, you will launch expeditions of discovery, colonise regions, expand your merchant fleet, and develop your economy. As the competition heats up, you will recruit specialists (Merchants, Soldiers, Captains, Missionaries, and Builders). They will help you gain an edge over your opponents, construct powerful capital buildings, and set the stage for an empire at war. Formerly known as "Age of Empires III"